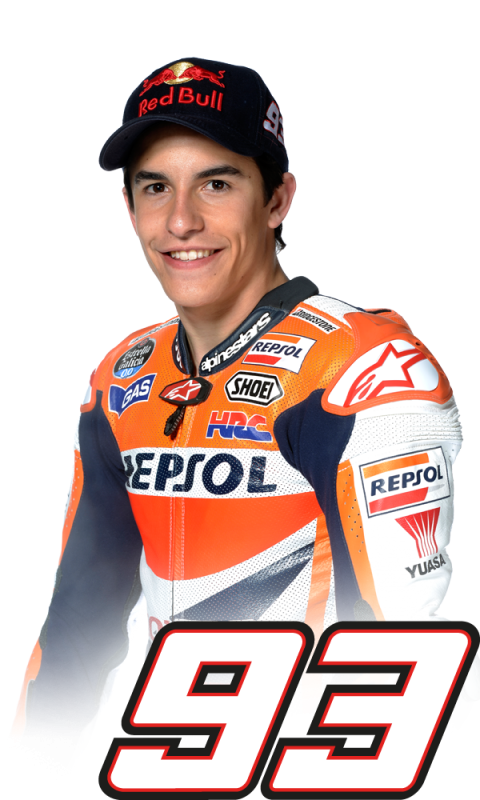 2013 World Champion Marc Marquez has enjoyed another fantastic race weekend taking victory from pole position. 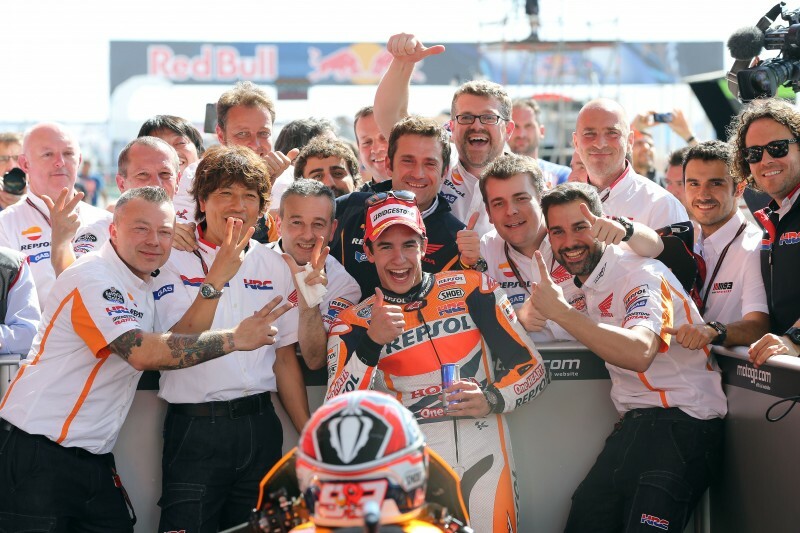 He has become the first rider since Valentino Rossi in 2001 to win the opening three premier class races of the season, and all from pole – a feat not matched since Giacomo Agostini back in 1971. 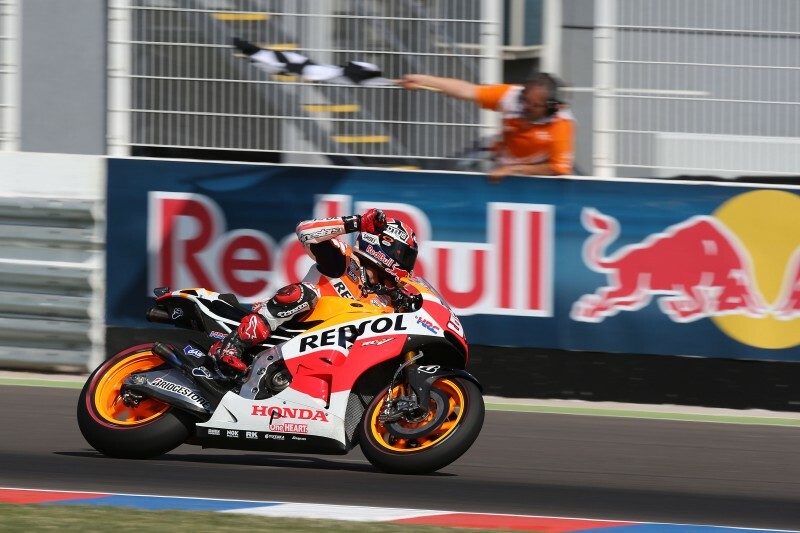 Teammate Dani Pedrosa capped the amazing weekend for the Repsol Honda team with his second place finish at the Red Bull Argentina GP, and has now finished on the podium at the last seven MotoGP races – his longest sequence of successive podium finishes since 2012. He now moves ahead of Alex Barros, into third place, on the top ten list of all-time point scorers in the premier class. 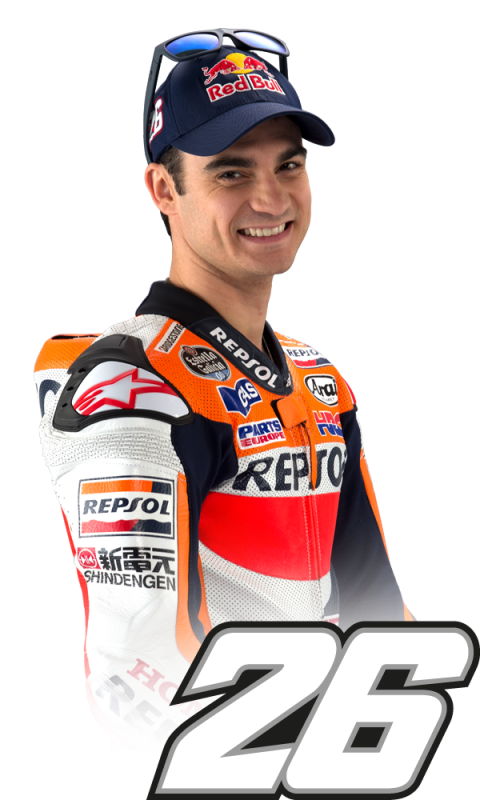 (1st Rossi – 3884, 2nd Doohan – 2298, 3rd Pedrosa – 2092, 4th Barros – 2079). It was a difficult start for Marc and Dani, who were 1st and 2nd on the grid respectively, slipping to 2nd and 5th by turn one. The early stages of the 25 lap race were filled with drama as riders passed and ran wide and Marc dropped back to 6th with Dani 7th by lap three. 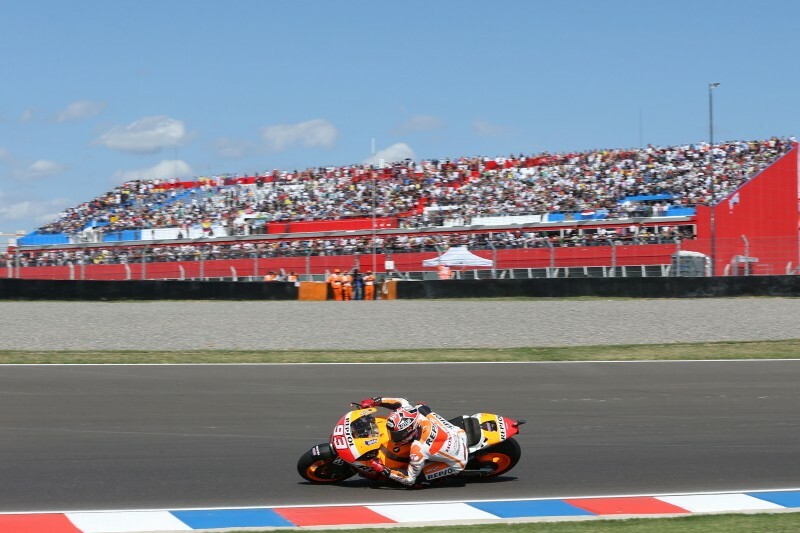 As the race began to find its rhythm, so did Marc and Dani, and they started to move through the traffic. 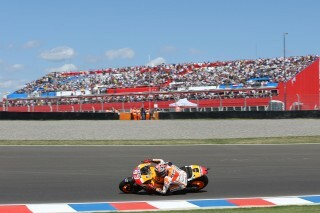 By lap five Marc was up to 2nd behind Lorenzo but Dani was still amongst the pack. 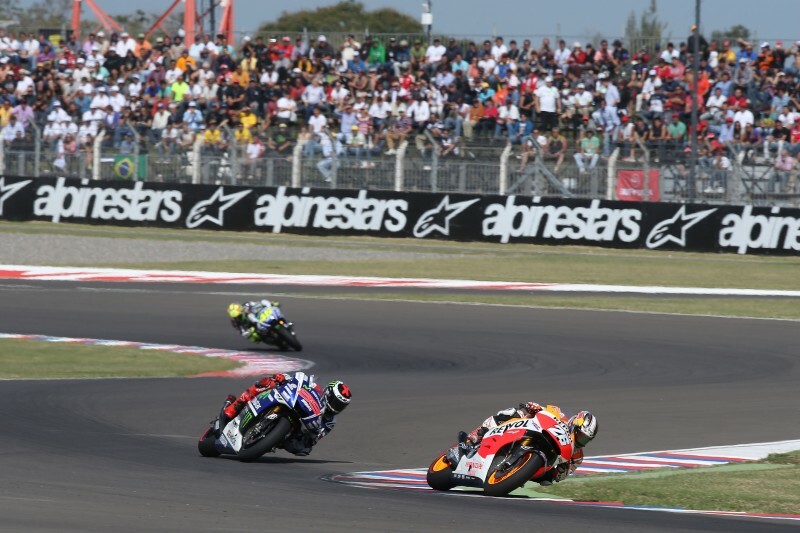 However, he overtook four riders and by lap nine was up to 3rd behind Lorenzo and Marc. Marc was content to sit behind Lorenzo for thirteen laps but finally made a move on lap seventeen passing him comfortably and opening up a two second gap in just three laps. 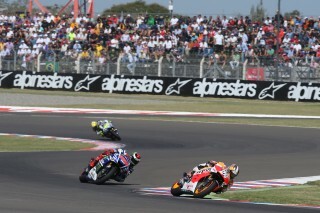 Dani then began to close the gap on Lorenzo. 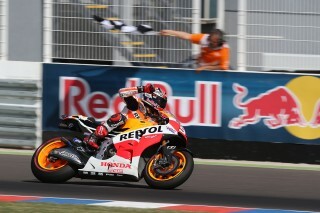 He set the fastest lap of the race (1’39.233) on lap twenty two and then on the penultimate lap he passed Lorenzo to claim second place for the Repsol Honda Team. 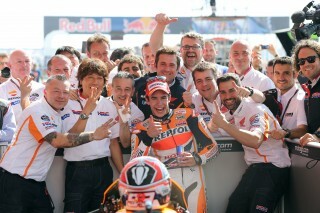 Marc has extended his lead in the Rider Championship to 75 points, with Dani on 56. Honda lead the Constructors Championship by 28 points and also the Team Championship by 68. The team must now pack up and fly directly to Andalucia, Spain for the GP of Jerez next week.